I've been away from cistern masonry lately and wood splitting around the old homestead back to a little more complicated stuff, that might be of interest here on MM. I sorta came out of retirement to take on an emergency "please git it done" project for my old employer installing a Leybold Helios soft coating machine. The pieces and parts had been sitting around for a few months, and there was a sudden push to get it moved assembled plumbed and wired before the Jan 1 tax deadline. 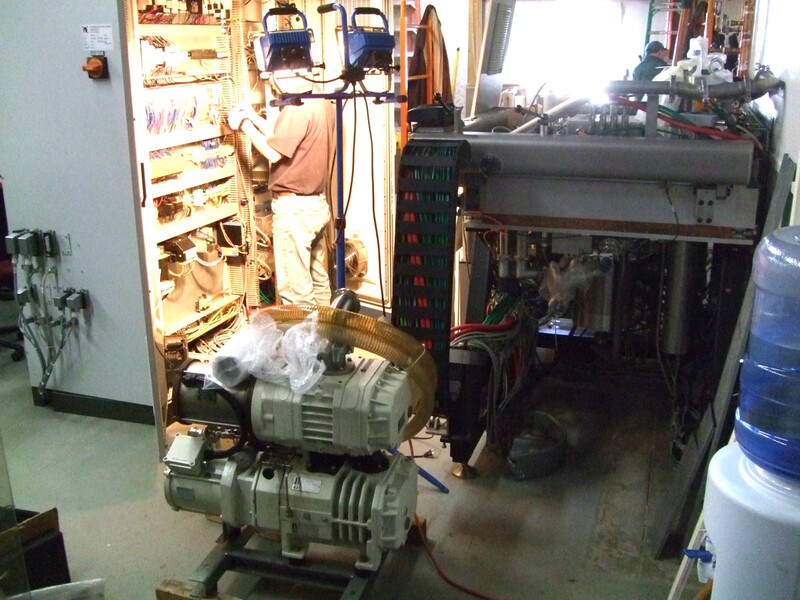 In the two weeks over the Christmas shipping period I had to source 3 custom spec pumps, VFD and sensors, a 460V to 400V transformer, all wiring, copper chilled water lines, oxygen line, argon line, vacuum line, etc in this rural area, and get the installation done by company guys, and hands on work myself, including a lot of the plumbing and programming the VFD. Did it and got a successful run last Friday Dec 29 at 8 PM. It was nice to get back on something mechanical after a few years absence.I've signed on for 6 months only with my old boss to do this kind of "expediting" stuff. I'm planning on putting my tiny shop back in order over weekends and probably working again on my old lathe building project. 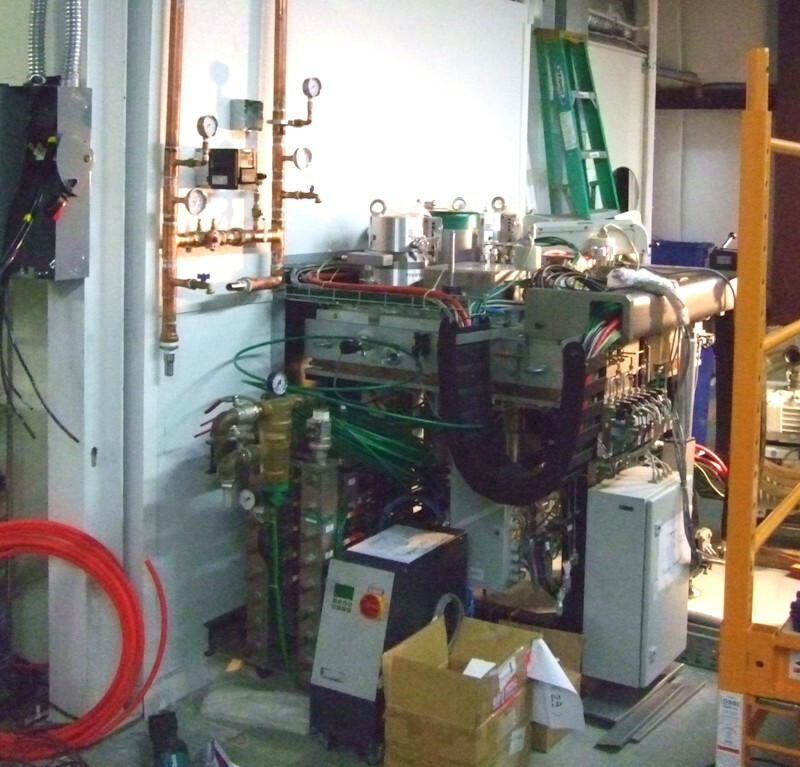 This is the back half of the machine -- it extends through the wall into a clean room. 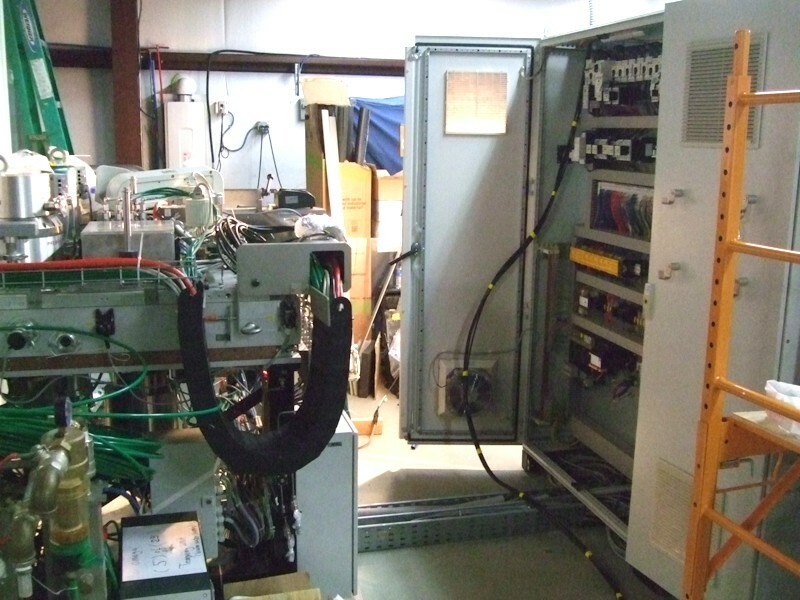 Showing one of the three control cabinets on the right. Wow what a project, especialy when you had such a small time slot to complete. It will be nice to start the new year with something less demanding. The only thing other than that, mechanical, is a simple friction starter for my diesel Metro Lister(oid) gen set. Not the height of metal work, that. More Vermont farmer level scrap construction. But it seems to work okay in cold weather. I can't crank that 600 lb beast fast enough by hand to start when the temps dip below freezing. And it's always needed when conditions are worst and a power line goes down. I'll get some photos up on MM of the starter rig in the next couple days. Just to contrast with the above!